Kratie Province, Cambodia, May 2017: By the time his first lesson begins at 7am, Grade 3 student Nelkea has already fetched water and chopped wood at home, had breakfast, walked to school and cleaned the classroom. The teacher says it takes Nelkea around 30 minutes to walk to school. 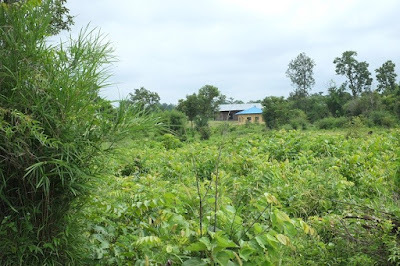 Some of the children live even further away, around 4km or 5km from the school. “When I come back home after school, I look after the cows or the buffalos and sometimes I go fishing in the rice field,” Nelkea said. All the children in Nelkea’s class are from the Phnong ethnic group and speak only Phnong at home. The majority of the families cultivate the rice fields, or make a living by fishing and basket making. Nelkea’s Grade 3 class. The teacher uses 70 per cent Khmer language. Cambodia is home to over 20 minority language groups. Indigenous ethnic groups make up a significant proportion of the population in north-eastern provinces, which are located in some of the most isolated and mountainous parts of the country. For these ethnic minorities who do not speak Khmer on a daily basis, school enrolment rates are very low and the risk of dropping out is much higher than for children in other areas. But at Nelkea’s school, the courses are taught partially in Khmer and partially in Phnong. The teacher writes everything using the Khmer alphabet but gives some explanations in the students’ native language. Created in 2011, this school has implemented an integrated approach through a multilingual curriculum, starting with native language and progressively introducing Khmer. For Nelkea, 70 per cent of the courses are taught in Khmer. Nelkea writes in Khmer on the chalkboard. 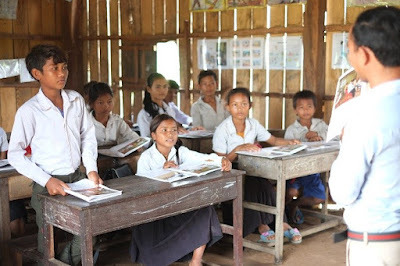 Multilingual education allows children from ethnic minority communities to start their schooling in their mother tongue, while Khmer is gradually introduced. Nelkea’s teacher finds it satisfying to work in a multilingual school. “I am proud of the multilingual education system because it demonstrates attention given by the Government, CARE and UNICEF to ethnic groups which were neglected for so long and whose language and culture were negatively affected during the period of turmoil and conflict,” he said. Guided by the Convention on the Rights of the Child and supported by UNICEF and development partners, the Ministry of Education, Youth and Sport has developed the Multilingual Education National Action Plan (MENAP) to help ensure that all Cambodian boys and girls from indigenous minorities are able to access quality education. Moreover, with financial contribution from Starwood Hotels and Resorts Worldwide Inc. and support from UNICEF Australia, over 200 teachers like Nelkea’s have received special training in how to teach multi-lingual education. Nelkea’s dream is to become an English teacher and translator. When his teacher explains that learning Khmer is a good way to start learning English, Nelkea’s face shines. Nelkea plays with his friends during break time. 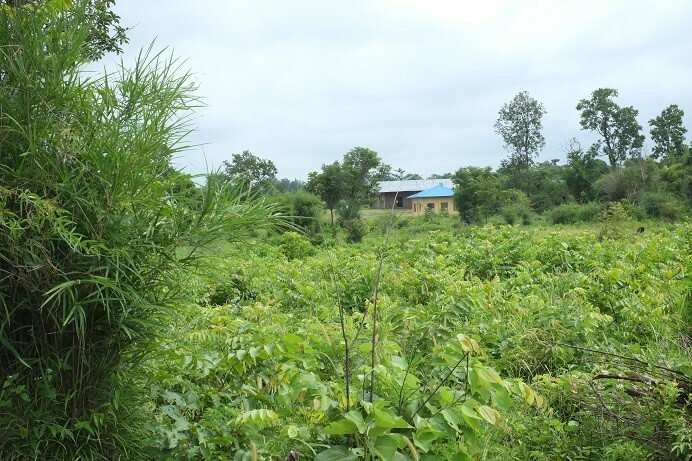 The school director said that, with additional support, he would like to improve the latrines at the school. “I would like to upgrade the latrines and teach children about hygiene,” he said. © UNICEF Cambodia. Simple theme. Powered by Blogger.